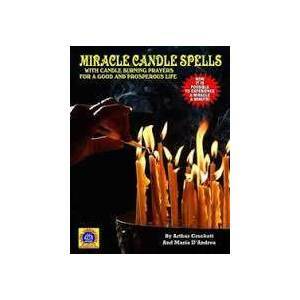 Now you can improve your chances of having your own prayers answered and all it takes is using a few colored candles and follow the easy instructions laid out in this workbook and studyguide. Many are talking about this title now and are using it on a regular basis for the good luck they deserve. This work is NOT of the dark side or of demonic origins, it is practiced by thousands of Christians who have utilized such other works as Bible Spells, Angel Spells, The Sealed Books of Moses and the complete works of Maria D' Andrea and William Alexander Oribello.